We love them so much that we used them in a recent event. Just a simple party mix can look amazing packed in these little darlings. We arranged them on a three-tiered metal stand as well as on a vintage vinyl record. 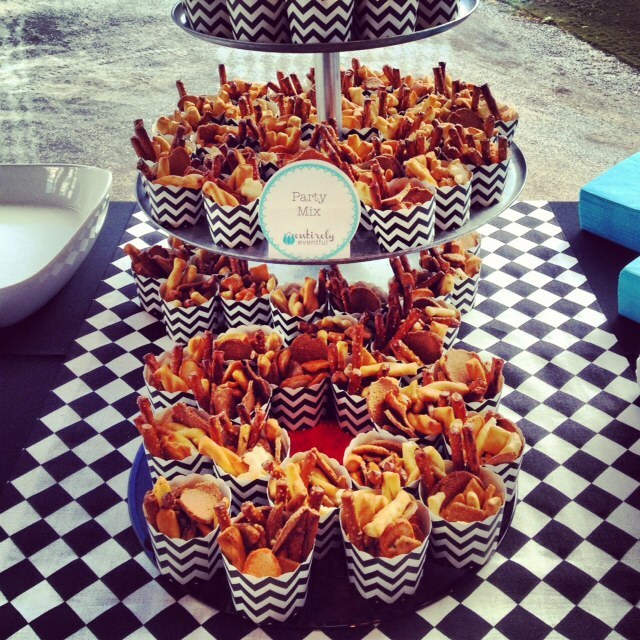 You can purchase these chevron baking cups here.